I Saw It On Vacation | 52 Week Photo Challenge with Some Pretty Creative Themes! Ummmmahhh….wuzzzzzzz enjoyin’ some camping in Oregon until this guy was found dead in our new campsite. Where are his relatives? It sounds like you had a wonderful vacation except for one “little issue.” I’m glad he was dead when you found him. ick! 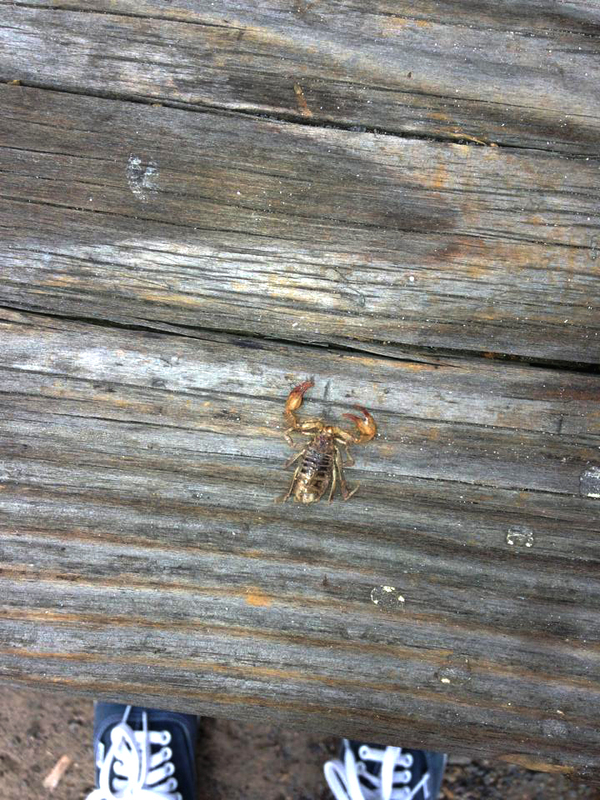 I double dislike scorpions!